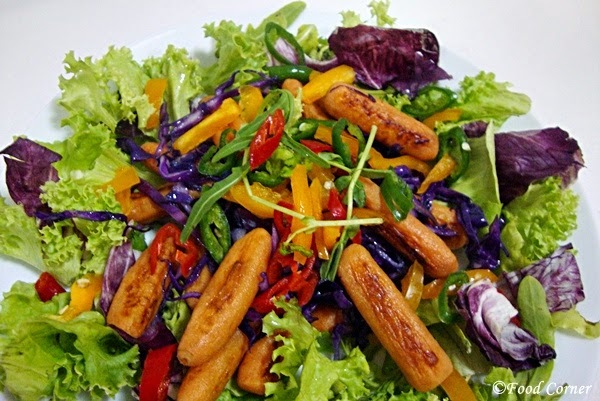 Salads are often considered as a healthy dish. 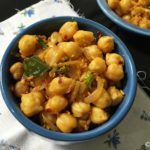 It is an easy way to consume lot of fresh food in a dish. 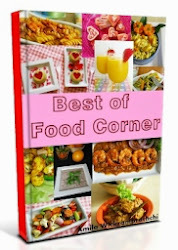 Anyone can easily make a salad with a composition of sufficient variety of foods. Therefore salads are popular among majority of households. In any cuisine, you can find different salad recipes with dressings of their own matching with taste buds. 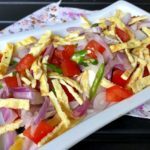 On the other way, if you are a One who gives much attention to the artistic side of the serving of food, you can consider serving a salad to add color for the meal. 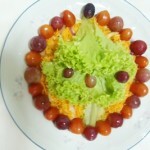 A salad prepared with different colourful ingredients will please any family member or a guest in the dining table. I am a fan of both healthy recipes and food garnishing. I always add salads to our meal whenever possible. Today I want to share a salad I prepared with baby carrots and purple cabbage. Both purple and orange colour gave me a beautiful dish to increase the appetite. 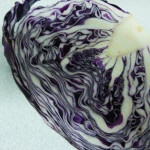 I blanched purple cabbage in hot water just to remove the raw taste. After that I used baby carrots after slightly roasting. You can still use the oven for roasting carrots. However, I used a pan for quick roasting. 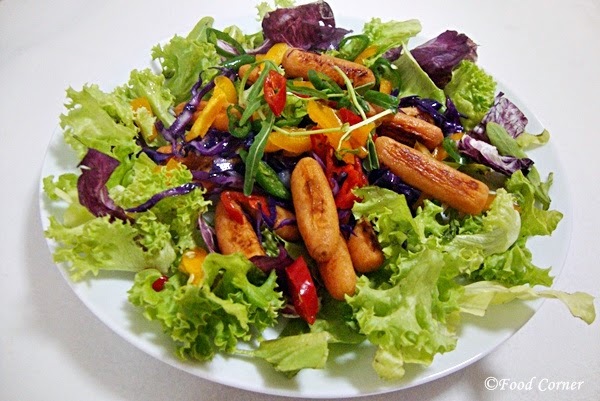 For the salad dressing, I used olive oil with other ingredients such as pepper and paprika. We had some salad greens and lettuce in the fridge, so I added few crushed lettuce leaves with a mix of salad greens. They added some crunchy taste for the final dish. Finally, this salad was a great side dish for our meal. Below is my recipe. 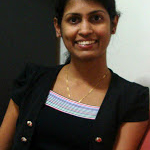 Hope you’ll like it. Blanch shredded purple cabbage for 30 seconds in hot water. Keep aside. Heat a flat pan and roast baby carrots. 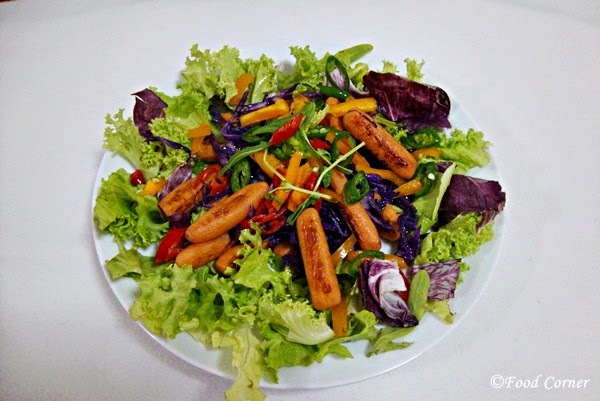 In a salad bowl, mix purple salad, roasted baby carrots, green chili, bell peppers and salad greens. 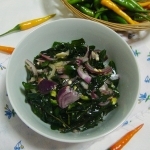 Just before serving the salad, mix the salad dressing with the above prepared salad. Please let me know if you enjoy salads in your meal. Do you use a salad as a healthy food choice or do you also consider adding colours to your meal with salads? So divine and love the vibrant colours. 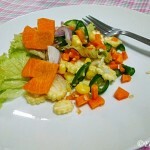 healthy salad with colourful fresh veggies….Love to eat baby carrot in a salad. Looks delicious …..I want some heheh! That’s a really colorful salad. It’s certainly something I will try to make in the coming weeks. We love Salads, this one looks very good. Looks delicious. I’m on a bit of a health kick and looking for interesting ways to jazz up my boring salads. Thanks for sharing. Such rich, warming colours – stunning! That is a beautiful salad! This looks great! I love the roasted carrots idea! They are best treat ever, so in a salad I’m sure is amazing! Thanks for sharing at WW! I am a fan of both healthy recipes and food garnishing myself – and I would have loved this salad for lunch today!